Purchase tickets today and save $5.19! As we plummet further into the depths of winter and the windchill is making our shoulders hunch higher and our spirits lower, it’s essential to arm ourselves with ways to chase away the winter blues. 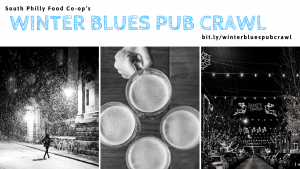 While binge-watching The Office (again) under a mountain of blankets is tempting, consider throwing on your boots and scarves and coming out for an evening of festive frivolity along the Avenue at the South Philly Food Co-op’s pub crawl on Saturday, February 23rd. The East Passyunk BID helped to organize the event and Founder’s is donating $1 for every beer sold that evening back to the co-op. At 9 p.m., make your way down to Pistola’s Del Sur for an after party with churros galore and the opportunity to win prize baskets. And if churros, beer, and raffles (and free South Philly Food Co-p beanies for the first 50 attendees!) don’t warm your soul in winter, then we’re not sure what will. Tickets are $20.19 in advance of the event, $25 the day of the event, and $15 during a flash sale on Friday, February 15th (today!). Passyunk Post has covered the steady progress of the South Philly Food Co-op over the years (see here). We are pleased to report that the co-op will host an official groundbreaking in April with the store opening planned for Summer 2019. A band of dedicated, savvy, and scrappy volunteers has been working together for nine years to bring this dream to a reality. Every week, another South Philadelphian joins as member-owners of this community owned grocery store with over 1,070 households and counting. After nearly two years of fundraising, the co-op is fast approaching its $1 million-plus goal, thanks in large part to over 100 individuals who’ve made member loans to fund construction, staffing, and store operations. The co-op is a 3,300 sq. ft. community owned grocery store at 2031 S. Juniper Street (off the southern end of the Avenue and a stone’s throw from the Snyder stop on the BSL) scheduled to open during the summer of 2019. Community-owned means that over 1,070 individual households have purchased equity (a one time $200 investment that can be paid upfront in full or in installments) in the store. No one member has more control or equity than the next. If cost of membership is unduly burdensome, the co-op has a Community Equity Fund that allows folks to join for as little as $5/year for 5 years (or $25 total). 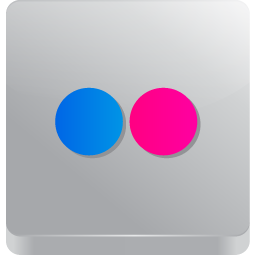 All future profits made from sales will go directly back into the store and the community. 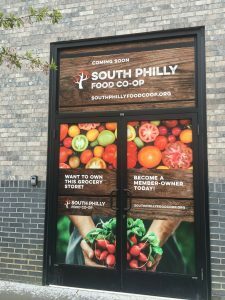 The co-op intends to hire it’s team primarily from South Philly and will support local growers and makers by selling their products. Beyond that, the co-op will be a hub for food education (i.e. 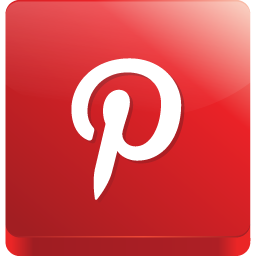 cooking demos and workshops) and is committed to values of justice and equity at the heart of all of its decisions. As a member-owner, I’m thrilled to see the co-op reach the conclusion of its campaign and get ready for a store opening — this demonstrates what South Philly residents can accomplish by working together. So go on and chase those winter blues away with a group of neighbors ambling together along the Avenue to support this great cause. Before we know it, we’ll be back in shorts and t-shirts and heading to the South Philly Food Co-op to buy pints of locally made ice cream to cool us down.